ART HACK is a network, a hub, a community in the Central Jutland Region with a joint mission. A mission where interdisciplinary collaboration, innovation and the sharing of knowledge is key. ensure, elaborate and define the interest for interdisciplinary collaboration which toke hold during the European Capital of Culture Aarhus, 2017.
create new solutions or generate ideas for best practise, where different organizations and skills meet and lay the foundation for something that is bigger, better or different from what each party involved would be able to develop and achieve alone. create developing and lasting relations between individuals with different perspectives and skills. From the outset the key actors within ART HACK invited several people from different sectors – and with different skills – to partake in ART HACK. Among the active members of the first season one finds; a lawyer, a choreographer, a stage-manager, a CEO of finance, an everyday activist, a curator, a business developer, an artist, an architect et al. As a starting point ART HACK has resulted in a string of network sessions and meetings, where the participants meet in informal settings, develop relations and – due to good relations and a deepend professional relationship – contribute to problem solving in terms of professional challenges. The hope is that these different perspectives – and especially – a strong sense of commitment will result in new and increased opportunities, and intriguing solutions which subsequently will be developed further within the ART HACK-network. ART HACK’s first season turned out to be highly successful. This success became the foundation for and the continuation of ART HACK. An ART HACK that is focusing on the completion of projects within the field of product-and business development, the development of knowledge and entrepreneurship. The projects are developed in cross-collaborations, but all projects are firmly connected with the appropriate ART HACK- actors within the region. The ART HACK network ensures that projects are strategically tied together in the different centres and hubs, hereby ensuring that gathered knowledge will be distributed to all involved. ART HACK will ensure that individuals with different skills can meet and partner up, when products, cities and areas are up for development. ART HACK will generate data that documents the gains and illustrates the reasons why cross-collaborations between art/culture and other professions are especially efficient in terms of improving society and creating innovative solutions. ART HACK will be open and direct in its communication and share the advantages of collaborations and projects within ART HACK. ART HACK will also communicate why and how the art-and culture world contributes to society. 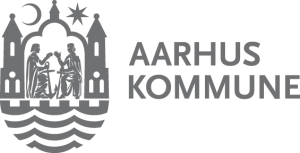 ART HACK will in collaboration with the Central Jutland Region be present at Kulturmødet, Mors, where gathered knowledge will be shared. ART HACK is looking forward to welcoming new members. Are you an artist, the CEO or Director of a private Company, an Association or a Cultural Institution, you will have the opportunity to apply for an ART HACK network membership. This membership is free of charge – the only thing ART HACK asks in return is your time and commitment.